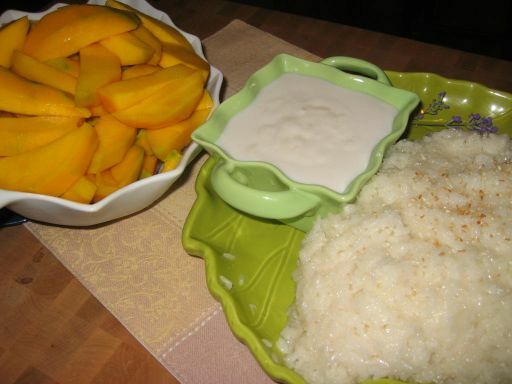 When mangoes are in season this is the perfect dessert to serve. 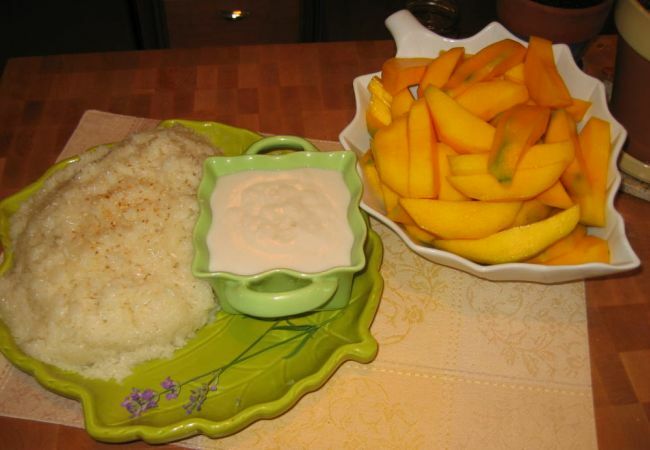 The mangoes go so well with the sweet sticky rice and a doll up of coconut cream. 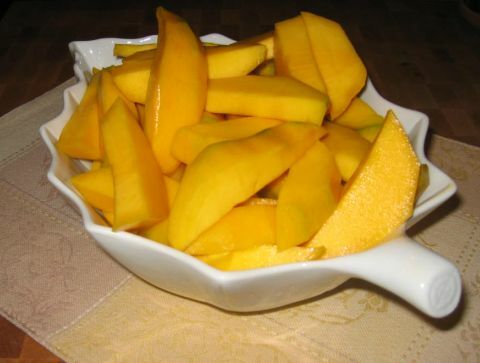 This is a sweet treat that everyone seems to absolutely love, just make sure the mangoes are nice and ripe, and the flesh should be bright and yellow. 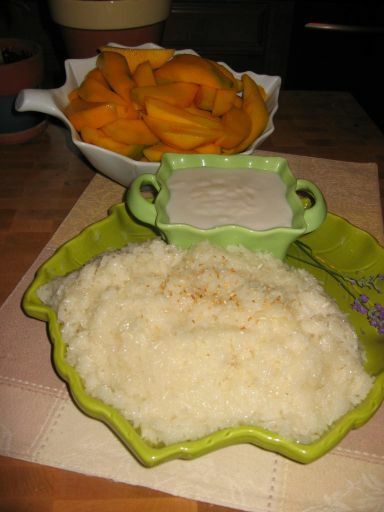 I love the combination of sweet sticky rice, Mangoes, and coconut cream. This dessert is so good. I use "Kent" mango for this dessert. Kent Mangoes are one of the best varieties available in the States. Known for their fiber-less meat, they are often misjudged as being green because they don't show as much color as other varieties when ripe. 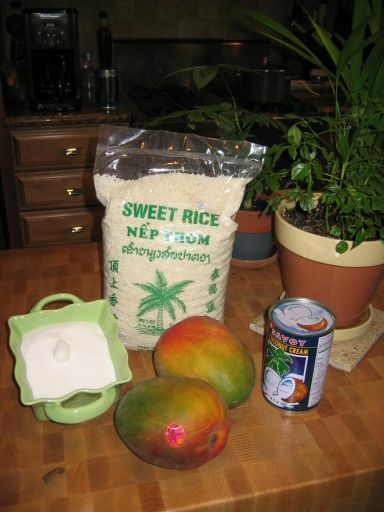 Ingredients for this simple dessert, Sugar, Mangoes, coconut cream, and Sticky rice. Here I am bringing the sweet rice soaked in water and a touch of salt to a boil. 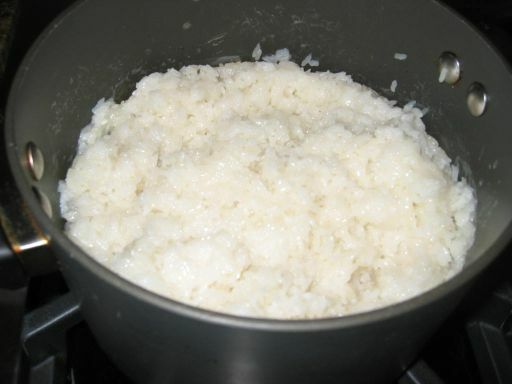 Once the water is boiled, the heat is reduced to low and then I put a lid on the pot and I let it simmer for 30 minutes or more until all the liquid is gone and the rice is cooked. 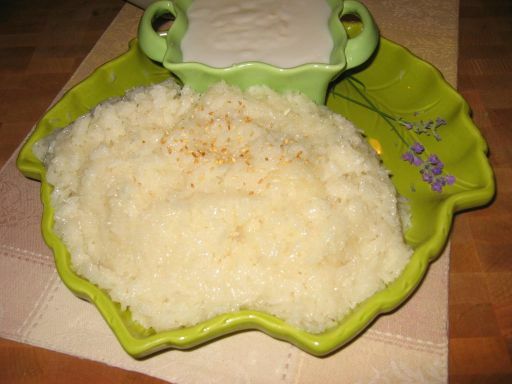 Coconut cream and sugar is added to the cooked rice to give it a rich and sweet taste. 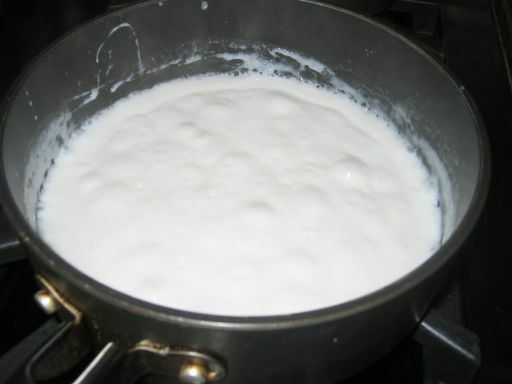 Here I am making the coconut cream. 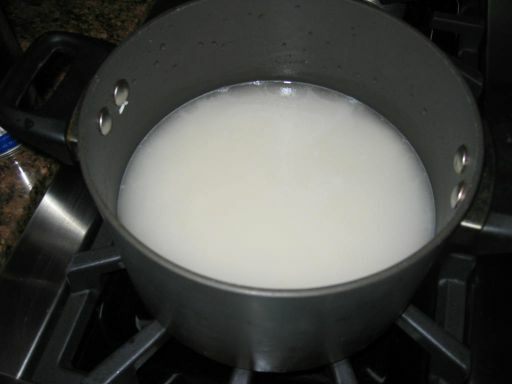 Coconut cream, sugar and pinch of salt is added and then I bring the mixture to a boil. 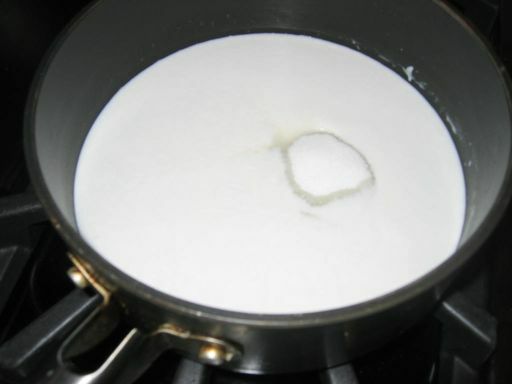 Once the mixture is boiled, corn starch is added to mixture so the consistency becomes thick. 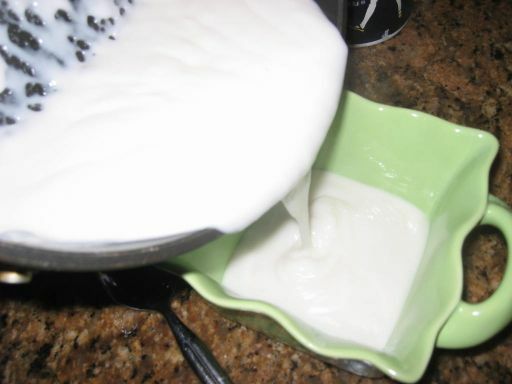 Here I am pouring the coconut cream into a small bowl.